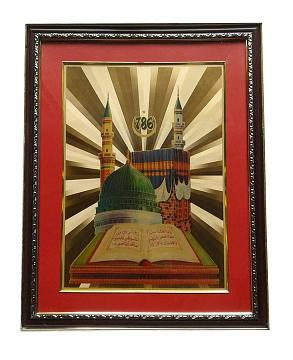 24 Carat Gold Plated Islamic Dua (Kaaba Madina / Makkah Madina / Mecca Madina) 786 Wall Picture Frame. 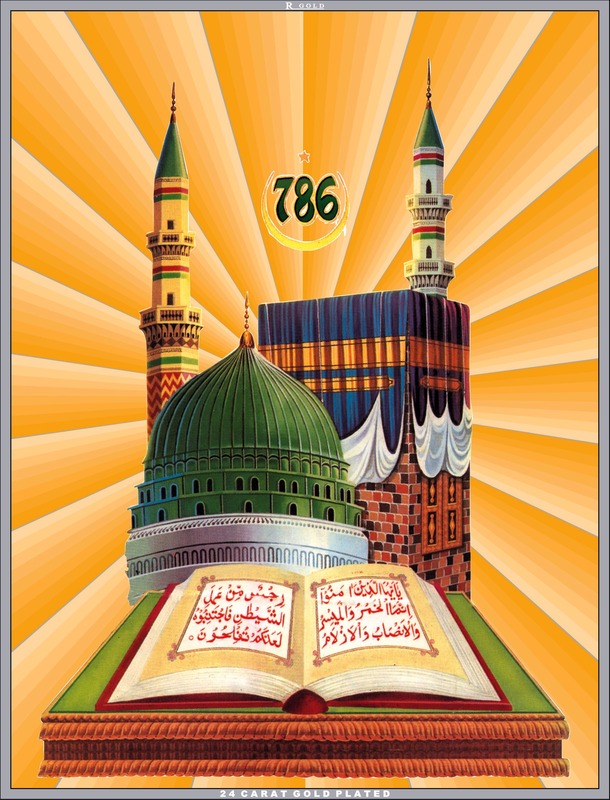 Islamic Dua 786 Picture is engraved on 24 Carat Gold Plated Copper Sheet and framed with very high quality material. This Picture has great detailing in the statue depicting Islamic Dua Picture with beauty and elegance. The Gold-Plated sheet inside is resistant to weather and lasts a lifetime. This Wall picture frame is ideal as gift during birthdays, anniversaries, house warming, special occasions, festivals like Eid and can also be kept in worship place. This item in Religious Figurine & Sculptures category was first added to our catalog on 07-09-2017. Buy 24 Carat Gold Plated Makka Madina / Islamic Dua 786 Picture Frame 16", sold & shipped by Favors Handicraft where you can shop online for Handcrafted Carved Furniture, Home Decor, Statues, Mandir & Gifts. This Eid Decoration collection has been tagged as Mecca Medina, Religious Gift, Muslim, Islamic, Makka Madina, Wedding Gift, Rustic Transitional Picture Frames, Semi Previous, Wooden Natural Finish.